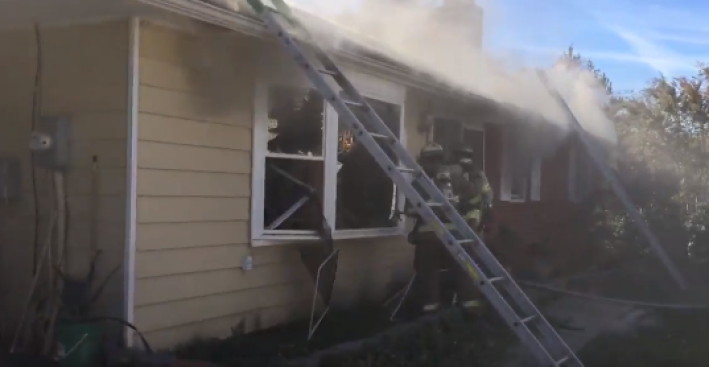 A woman suffered critical injuries in a house fire in Kettering, Maryland. Firefighters were called to the unit block of Herrington Drive just after 10 a.m. Tuesday. Fire officials say the first call about the fire came from Kettering Middle School, which is being used as a polling location for Election Day. A woman and a man were injured in the fire. The woman suffered serious burns, fire officials say. Both victims have been transported to the hospital.